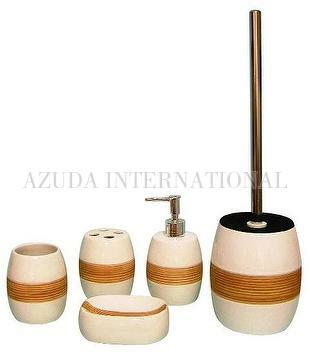 Taiwan CIRCULAR LINES ON WAIST CERAMIC BATHROOM SET | AZUDA INTERNATIONAL LTD. 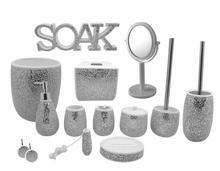 Ceramic bathroom accessories include lotion dispenser, toothbrush holder, tumbler, soap dish and toilet brush holder. 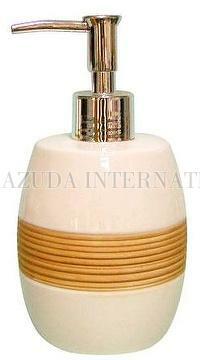 Circular carving lines on waist in taned color and base in white color. 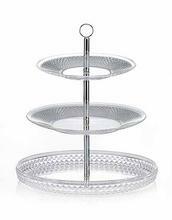 Simple design fits all kinds of indoor decorations.